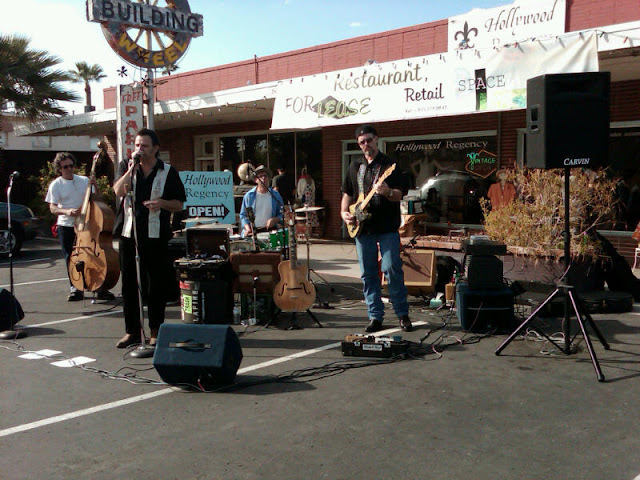 The M7 Street Fair in the Melrose on 7th Avenue District is one of the most popular street fairs in Phoenix. It is a judged classic car collector show, food festival, local artist market and above all else, a variety of live music. In this video The Jump Back Brothers play their unique blend of blues, rockabilly, rock and country with swing, jazz and other styles mixed in for a solid American music adventure. The Jump Back Brothers Live at M7 Street Fair from JR Snyder Jr on Vimeo.